Following the launch of the second year of Jameson First Shot last month, renowned Hollywood actor Willem Dafoe has spoken for the first time about the competition. 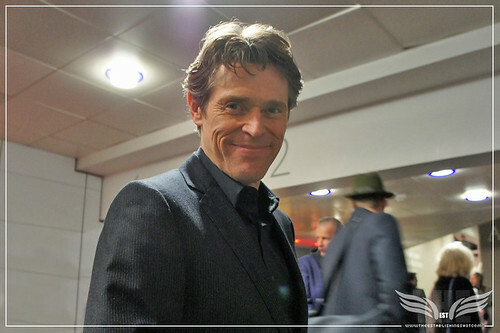 In new video content of their first meeting, Kevin Spacey and Willem Dafoe chat via Skype about their plans for Jameson First Shot 2013. Hectic schedules meant a Skype call was the best way to get everyone together and after a few small technical glitches, we get a rare glimpse into a planning meeting with three Hollywood movie icons. Dana Brunetti, President of Trigger Street Productions gives Willem Dafoe the background to the competition, while Kevin shares some of his thoughts and experience from the last year. Dafoe confessed that this will be his first foray into the short film format (much like Spacey in last year’s competition), but he said that having watched last year’s winning films he is excited to see what the 2013 project brings. Double Oscar-nominee Dafoe will star in the three winning films in 2013, with Kevin Spacey on board as Creative Director and Dana Brunetti once again producing the three shorts. 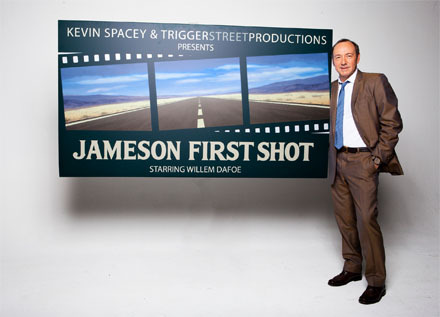 Talented filmmakers looking for their big break need to submit a script of no more than seven pages via www.jamesonfirstshot.com by 1 January 2013, inspired by one of three themes; ‘legendary’ or ‘humorous’ or a ‘very tall tale’.